A is for Avocado, B is for Blueberries, C is for Carrots, and so on. In this 32-page download, each letter of the alphabet is paired with a nutrient-rich food, a delightfully-delicious design, and a fun fact. Did you know that xigua is the Mandarin Chinese name for watermelon and that raspberries have more fiber per cup than any other berry? 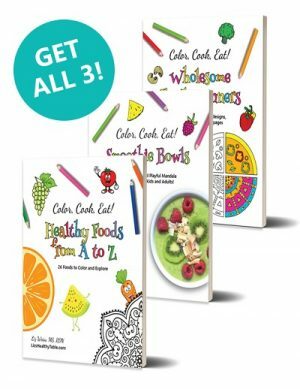 This coloring book is sure to inspire everyone in your family to want to eat right. Did you know that there are 72 million tons of grapes grown worldwide every year? And that some yams can grow up to 5 feet long? And that there’s an easy, fun way to expose your kids to new foods? Learning to eat right and enjoying every bite should be fun, but for some families, getting finicky eaters to try new foods—especially fruits and vegetables—can be a struggle. That’s where Color, Cook, Eat! Healthy Foods from A to Z comes in. 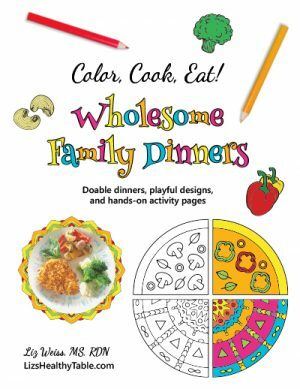 This whimsical coloring book combines kids’ love of creative coloring with their hunger for cool facts, and wraps it all up in a delicious food-savvy package. 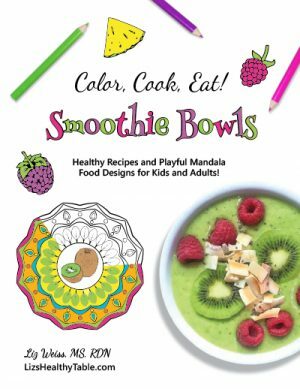 Filled with 26 good-for-you food designs from A to Z, it offers parents and caregivers a playful strategy for encouraging culinary curiosity. some familiar food, like carrots, and some you may never have heard of, like xigua (but look a little closer…maybe you know it by another name)! tips on how to eat the food—like adding mango to salsa! If you’ve got a child resistant to new ingredients, this coloring book is your new best friend. Making pasta with tomato sauce for dinner? 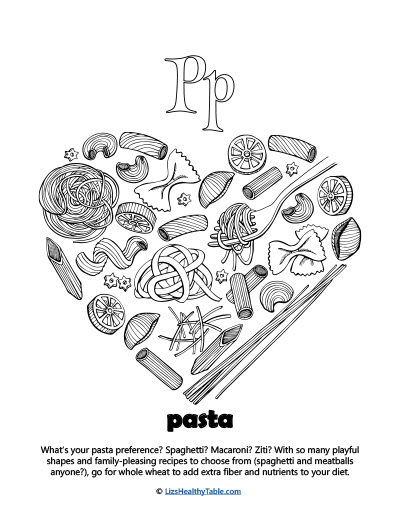 Invite your kids into the kitchen to color the pasta and tomato pages. Serving pancakes for breakfast? 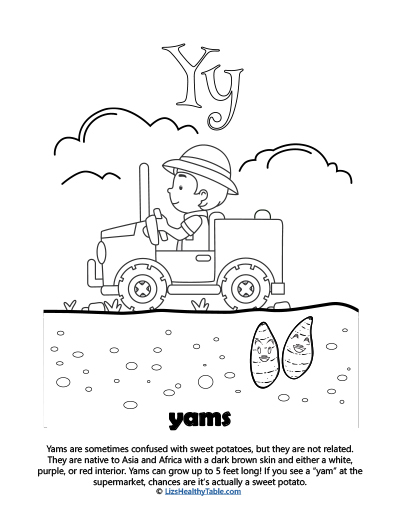 The eggs coloring page is sure to whet appetites on cozy weekend mornings. 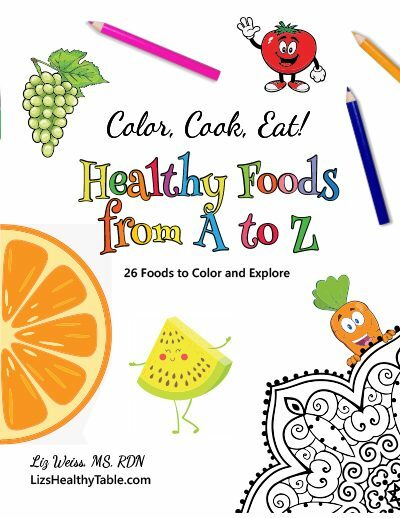 If you’re heading to the grocery store or farmers’ market, challenge your kids to search for some of the foods featured in this book: jalapeños, eggs, lemons, raspberries, and even ugli fruit! 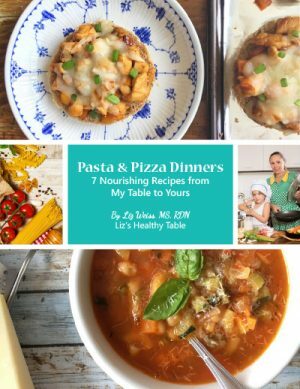 I created this book to inspire your entire family’s exploration of the delicious world of good food, fresh flavors, and better nutrition. 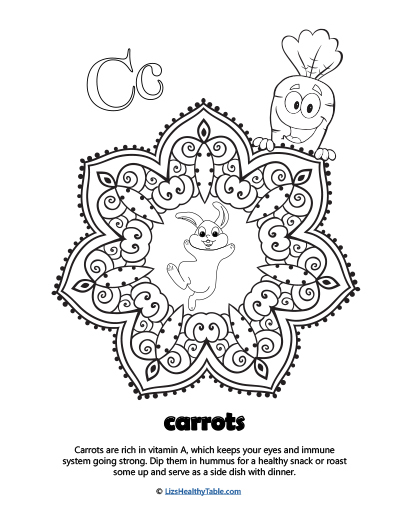 Happy coloring—and eating!